Along with Akshay Kumar, Kesari stars Parineeti Chopra in pivotal roles. The movie which is slated to release on 21st March 2019 which also has the festival of Holi. 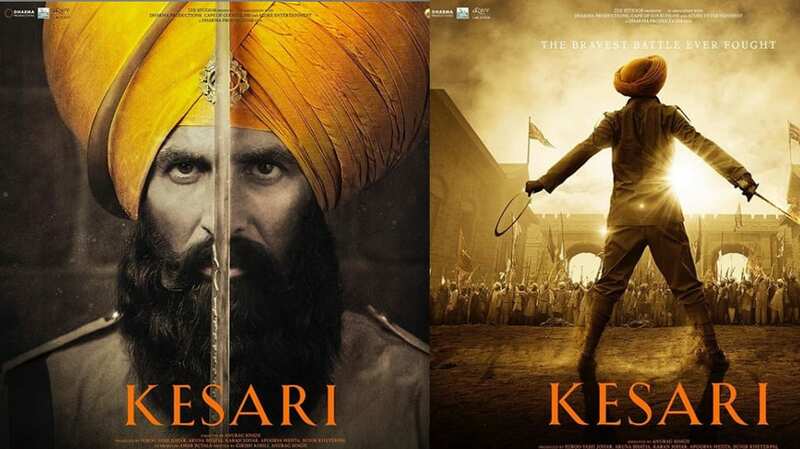 Akshay Kumar officially announced the beginning of Kesari's promotion with glimpses from the film. The new poster shows, Akshay Kumar, as a one-man army standing up all alone in front of 10,000 Afghan soldiers holding a sword in one of his hands. The 2.0 actor also added that also added that he would be sharing "glimpses of Kesari" from Tuesday onwards, so be prepared for an eye-treat. Apart from Kesari, Akshay Kumar has Housefull 4, Good News and Sooryavanshi in his kitty. This battle stood different as only 21 Sikhs, who were a part of the British India regiment protecting the forts of Lockhart and Gulistan on the border areas of Afghanistan, took on 10,000 Afghan soldiers, who attacked Saragarhi. The trailer of the film will be released on 21 February. The movie is directed by acclaimed Punjabi director Anurag Singh and produced by Karan Johar, Aruna Bhatia, Hiroo Yash Johar, Apoorva Mehta, Sunir Khetarpal.